Do San Diegans spend too much on rent? When it comes to rent, San Diego is not as bad as we might think — but it’s not great either. Children’s laughter echoes faintly in a childless house. A car door slams loudly, even though it seems to be locked. A piano key plinks repeatedly while the bench remains unoccupied. A new, five-story East Village apartment building has sold for $83.95 million, according to CoStar Group records. I didn’t cry while searching for a San Diego apartment, but I came close. Don’t expect any rent breaks (or cheesecake) from your landlord this year. 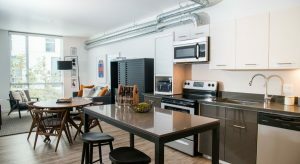 Alex Thornton, 34, a video producer based in Fort Greene, a hip enclave of Brooklyn, N.Y., is looking for an apartment to rent in neighborhoods across the borough. A Los Angeles-based real estate and management firm purchased a 450-unit apartment complex last week in Carlsbad for $112 million and plans to sink more into renovations. Condos: A market poised for a boom? 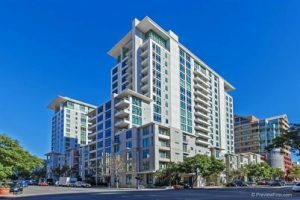 San Diego County condo resales and construction have been limping along during the real estate recovery, as developers and consumers focused on rentals. Home prices increased by 0.8 percent in July and 5.4 percent over the full year in San Diego County, which posted the nation’s largest monthly gain, according to the S&P/Case-Shiller Home Price Indices released Tuesday.